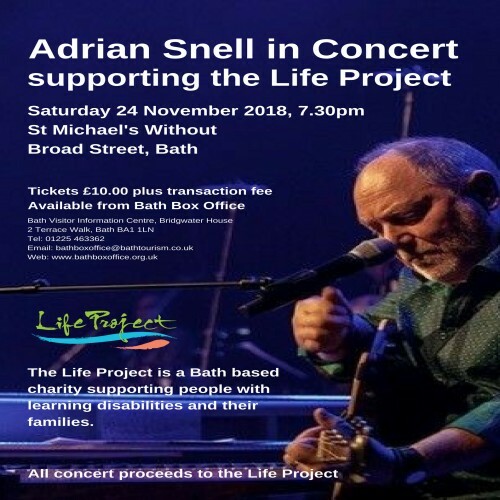 Adrian Snell is a creative musician renowned in many parts of the world for his diverse and popular creations. With a career in music spanning over four decades, his body of work is widely respected and appreciated by many. After a journey of discovery back in 1986, Adrian Snell released Alpha and Omega, an album close to his heart which expresses a widely shared passion and faith, through the sincerity of his lyrics and a reviving sound. Last year, Adrian Snell celebrated the 30th Anniversary of Alpha and Omega by capturing the live sounds recorded in a string of concerts last October, which encompassed a full live band of great musicians as well as a 60 piece choir. The live capture and recordings of the spectacular concerts will be revised and edited and eventually released as a fresh and rejuvenated sound, to accompany the much loved original lyrics. Phase Two of the crowdfunding campaign aims to raise an initial £500, to then expand on the live takes by adding soundscapes, effects and studio takes that will bring the full vision of Alpha & Omega to life, allowing people from all walks of life to appreciate this album for many more years to come.